A great news for Railway Job Seekers arrived today and railway promised to release the notification of Guard Bharti and a Total of 1000 vacancies will be came into existence for the employment. Already announced the Group C, D and Ticket Collector Employment Advertisement and This time we have another opportunity for Railway Guard Recruitment. It is expected that Online application form for the hiring of Guard will be available soon and if you want to get instant notification for the Recruitment, please subscribe to SarkariNaukriCareer. Job seekers having the Graduate degree from any recognized institute of India, they can apply for Guard Posts via given mode. Applicant who are between 18 to 32 Years is required by RRB complying Qualification criteria. Note: Relaxation in Age for reserved category will also be available. Applicant can check the exact application fee when the official notification is available for Guard Recruitment. A Computer-based test will be organized by the Recruitment Board and final applicant will be shortlisted according to the merit list. Further information will be disclosed in Advertisement. 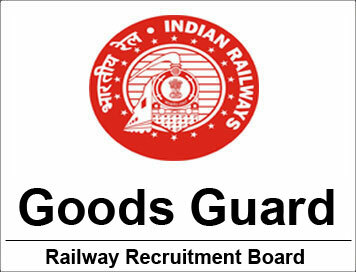 How To Apply Procedure for Railway Guard Bharti? Kindly Visit the official website that is mentioned in Advertisement OR Table Below. Select the Zone or Circle and Proceed with it. Register with the basic details including Username and Password. Applicant must keep it save so that it can be used on next Phase. Fill the Online Form with mandatory details. Upload the requested Photo and Signature and Submit Form. Now, Proceed with RRB Guard Payment Option and Done it Successfully. Print out the submitted form and Note down the Registration No. As per Source, Official Notification will be disclosed soon as the Current Group C and D vacancies get closed and Expected in last week of March 2018.